This is month #8 out of 10 months of morning work. It includes 20 days of morning work. 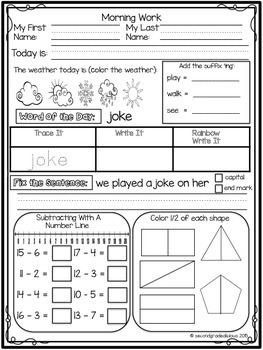 Each page has some math activities as well as some ELA activities. 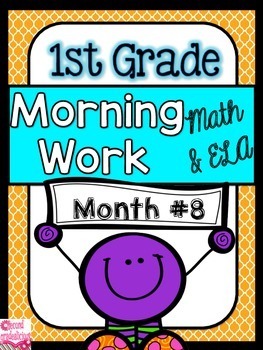 Check out Morning Work Pack #1 for FREE! Morning work is perfect for when students come in the classroom and you are busy attending to notes from parents, student agendas, etc. 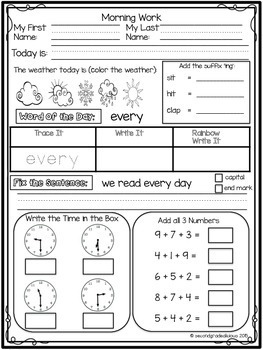 Your students can quietly come into the classroom and begin working on their morning work. 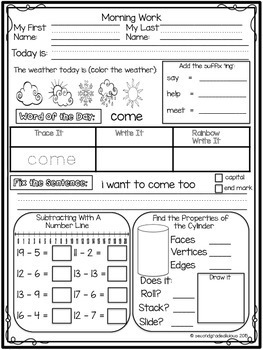 It provides extra practice for literacy and math skills as well as other subjects. Word of the Day (Combination of 10 Dolch and Fry words and 10 high interest words). Remember to leave feedback on your purchases to earn free credit on TPT. This product is for use in one classroom. You may not distribute this product or post it on any website. All rights belong to the author and this product is subject to the DMCA.